Celebrity Optimist welcomes Talia Bella as Guest Optimist! Talia is a Los Angeles based Designer and Founder of Closets for Causes. She loves fashion and has found a way to blend that love with philanthropy! The force behind Closets for Causes, she is the founder of this cause marketing company which auctions off celebrity/character wardrobes and donates proceeds to the charity of the celebrity’s choosing. She is innovative, stylish and has a giving heart. All of this is apparent with her guest entry, where she discusses sustainability in the fashion industry and poses the timely question, “What is your fashion footprint? Sustainability is a subject which is talked about often, whether it be due to the energy crisis or in response to the signs of global warming. 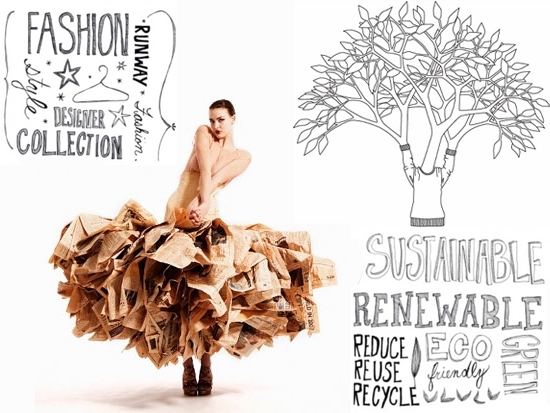 Sustainability in fashion, however, is a subject that’s not too often shared, primarily because the industry is designed to be quite the opposite. How do these mega brands backed by mega corporations make money? They shower you with new trends and new looks, so that each season you’re buying. This can not only put a damper on your bank account but the planet as well. The industry produces an average of 2 million tons of waste per year. With the majority of discarded fast fashions and trends ending up in landfills. – Invest in classic pieces that are well made and designed to last you years and only supplement your existing wardrobe with one or two key pieces each season. – When you must retire a piece donate it to Goodwill or resell it. One woman’s trash is another woman’s treasure. – Shop vintage and used. Some amazing finds can be acquired this way and can be a thrifty way to add new pieces to your wardrobe. My company, Closets for Causes, is an excellent example of this. As John Wooden said, “It’s not what you do, it’s how you do it”. So what’s your fashion footprint? To find out more about Talia Bella, Closets for Causes and any of her other projects, you can visit her website and follow her on Twitter @Talia_Bella! Also, to see a behind-the-scenes video of the charity work she does, visit this link! ← Celebrity Optimist TV on set with Closets for Causes!